Don’t know where to start. I am short of words today. A Big declaration from me – I am due for my 2nd baby in July. Yes. I have already completed 12 weeks. The gap between my two babies is just fine – almost 4 years. But, this time its much much different. I am still not feeling all that I felt at the time of Atharva, my 1st one. Not that I am not happy for being a mother once again. But I am still afraid of the 9 months and that delivery process. It will be a caeserean this time as my last one was a caeserean, so no chances in that. But being in full time job and mother and blog and family, may be the things are taking a toll on me. I am afraid but I am happy :). I managed to lose quite good weight in Ritcha’s marriage. I will be gaining all that plus 2-3 kgs more now ;). But that will go now. Because now I know how. Oh yes. I am happy that God has blessed us once more. Thank you God :). I have already started growing. The good part of losing weight is that I have sturdier, thinner arms, legs and thinner face now. So, people still come to me to ask how I lost all that weight. Of course, I tell them while being a little conscious of my growing tummy which only I know of. Thats to all the winter clothes, jackets and coats. Warna its so visible :). So, this is start of another phase of my life. But what I am going to miss in this phase!! She has left for Australia to be with her hubby yesterday. She will reach there today. She took only one promise from us when dropping her on airport, that nobody will cry. Because she is going alone and she has to search everything on her own and has to complete some paperwork and she won’t be able to do that if she will cry. We didn’t cry at that time. I cried in the night. A lot. I still feel like crying a lot. But I can’t. All this is happening for good, for her best. I can’t cry over this. This is life and we all have to come to terms with this. This is for good. She has a doting husband. He has renovated whole house for her. She will be in for lots of pleasant surprises. We can’t ruin that for her by crying and all. It will be tough for her too. But I know she is strong :). The Best. We are three sisters and we are very close. We all never have been to any boarding or hostel and our jobs have been here in Delhi too. So we have never been away from home or from each other. That’s why it i more tough. Lots of dependencies on each other. We never shop without each other. I can’t buy a single cloth without Ritcha. She is the one who always forces me to go for shopping and all else I am very lazy. With Ritcha, I could leave Atharva any time, no problems. She loves him so much that I didn’t even bother to call when they were together. She can do all the things like feeding, cleaning, playing or anything with children an still managed to click pictures for the blog. Yes. All those beautiful pictures you see on blog, only Ritcha clicks them all. What am I gonna do now!! I really don’t know. 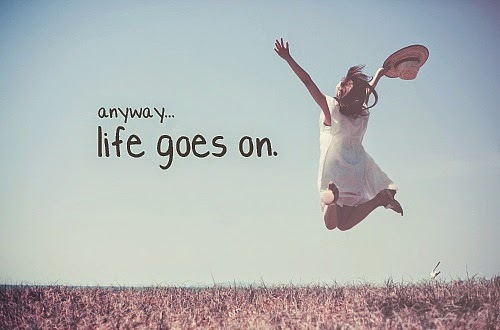 Life goes on. Atharva will become habitual of her absence in few months. I will start managing everything on my own. But still there is a void. I am feeling the continuous pain. I am controlling myself a lot. But hell. I am pregnant. My hormones are overflowing, my emotions are not under control. I can cry at anything these days. I cry a lot these days. So this is a good reason for crying, how can I leave it ;). You know, sometimes, at the end of the day, when I am too much exhausted and don’t know what to do, I just lie on my bed and cry, cry, cry. My hubby who earlier panicked to see me crying like that, now just gives me his hand and consoles me, comforts me. He now knows that I will be fine after a 5-7 mins crying session :). This too shall pass. I know that. Thankfully, Ritcha will be back in 3 months this time and hopefully, will be with me at the time of delivery. Anyways, I want to have an icecream today!! Congratulations Charu…so glad to hear this Big news. Heartiest congratulations to Ritcha too. I know it is difficult to get adjusted to new situations but as they say, the show must go on. Really a wonderful post, interesting. You will be superb mamma as you are now..:-*.. Ahh I can understand how you would be feeling without Ritcha .. it like life being stolen from you but think about another one in your belly..saying hello to you 😀 :D.. I wish Ritcha all the best for her married life..:) .. I will say just stay excited and keep counting days for her comeback 😀 😀 .. I am sad you 2 will be separated as I know how close you both are… thankfully we have the technology we have so that we can see other more. I need to utilize this more with my oldest daughter… I have been neglectful due to being overwhelmed. I totally understand how and why you are overwhelmed. You have had so many changes this last year. Congratulations gorgeous. I know how it felt when my sis got married. We had been together always and I shared everything with her. She did my hair every morning for school. But after she had gone I learnt to do it on my own. Life really goes on. Take care a lot and wish you loads of smiles!!!!! Congratulations Charu! I am so excited for you! Aw, congratulations! Don't worry, what you'll need to feel will definitely show up when it needs to! congratulations Charu.. It is very emotional post 🙂 God bless you..